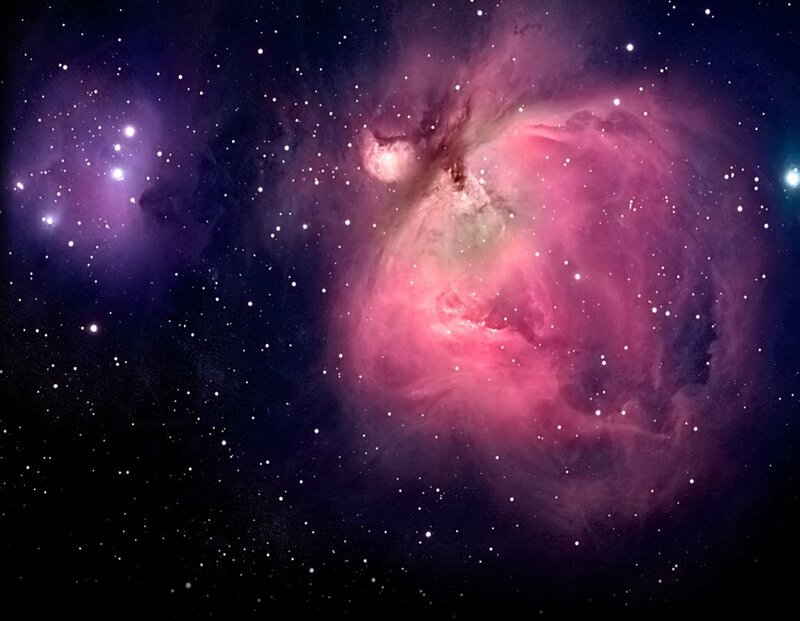 All the files that you upload to VOSA will be shown in the "Files" page. You can organize them using folders. In the form in the bottom you can create folders as you like (or rename them). 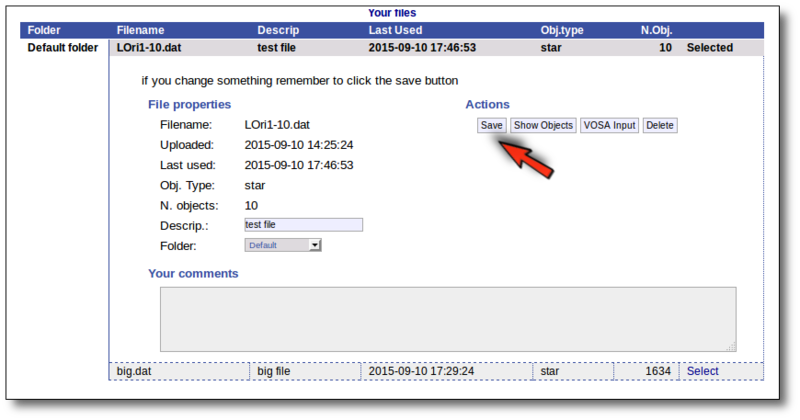 To start working with VOSA You need to select one of the files. Move it to another folder. 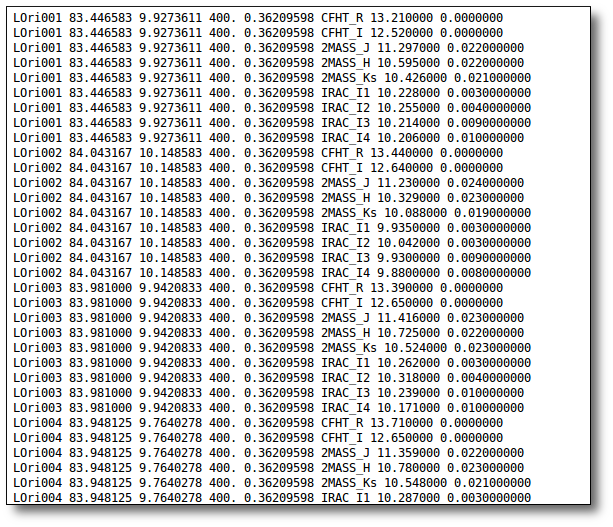 Add comments (maybe to remember something about this file in the future). In order to do that, you just need to edit that information in the form and click the "Save" button. 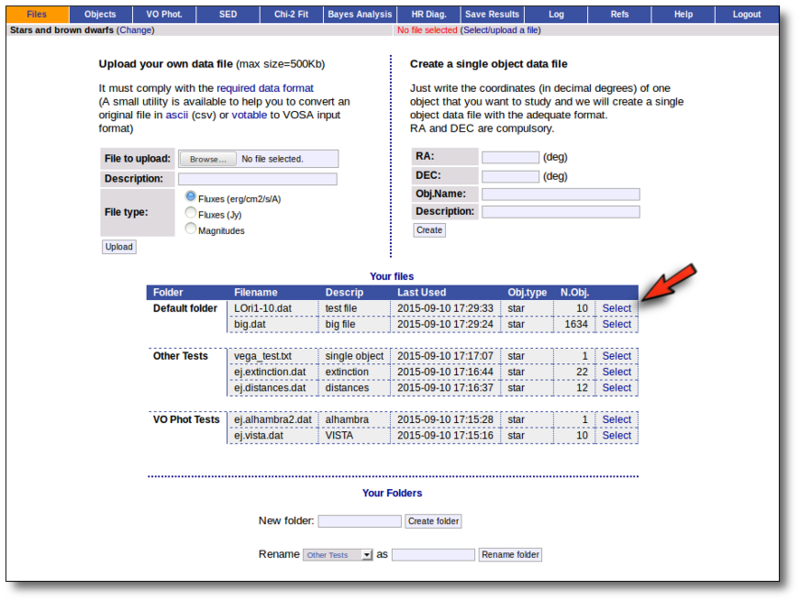 Click the "VOSA Input" button to recover the VOSA Input file that you first uploaded (you will get the same ascii file). 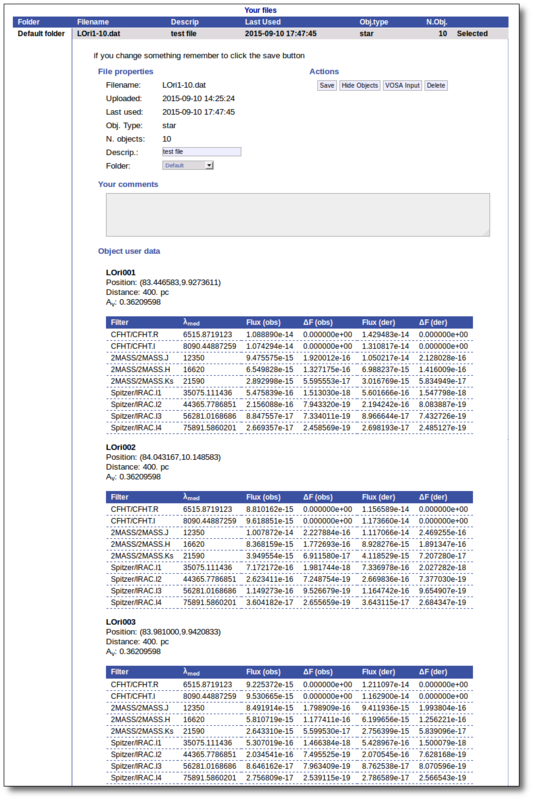 Click the "Show Objects" button to see the info about the objects in the file. Remember to do this after uploading the file to check that all the info has been understood by VOSA properly. 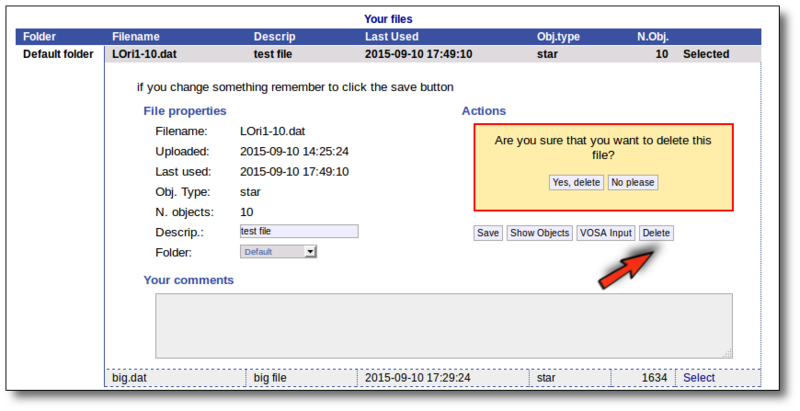 Click the "Delete" button to delete the file from VOSA (all the information about it will be lost). You will be asked for confirmation.